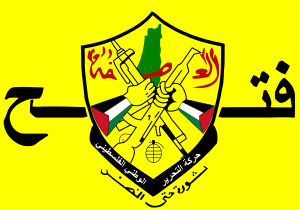 The Fatah–Hamas conflict (Arabic: النزاع بين فتح وحماس‎‎ an-Nizāʿ bayna Fataḥ wa-Ḥamās), also referred to as the Palestinian Civil War (Arabic: الحرب الأهلية الفلسطينية‎‎ al-Ḥarb al-ʾAhliyyah al-Filisṭīnīyyah), was a conflict between the two main Palestinian political parties, Fatah and Hamas, resulting in the split of the Palestinian Authority in 2007. The reconciliation process and unification of Hamas and Fatah administrations has not finalized as of September 2015. The Palestinian Independent Commission for Citizens' Rights has found that more than 600 Palestinians were killed in the fighting from January 2006 to May 2007. Dozens more were killed or executed in the following years as part of the conflict. Tensions between Fatah and Hamas began to rise in 2005 after the death of Yasser Arafat. After the Hamas' legislative victory in 2006, relations were marked by sporadic factional fighting. This became more intense after the two parties repeatedly failed to reach a deal to share government power, escalating in June 2007 and resulting in Hamas' takeover of Gaza. A major issue was control over the border crossings, especially the Rafah Border Crossing. As of August 2007 the Palestinian Authority became split into two polities, each seeing itself as the true representative of the Palestinian people – the Fatah-ruled Palestinian National Authority and the Hamas Government in Gaza. Documents published in the Palestine Papers reveal that the British intelligence MI6 in 2004, helped draw up a security plan for Fatah-led Palestinian Authority. The plan mentioned as an objective, "encourage and enable the Palestinian Authority (PA) to fully meet its security obligations under Phase 1 of the Roadmap". It proposes a number of ways of "degrading the capabilities of rejectionists", naming Hamas, PIJ (Palestinian Islamic Jihad) and the al-Aqsa Brigades. The plan was described by the Guardian as a "wide-ranging crackdown on Hamas". The supposed plan for a Fatah counter-insurgence against Hamas backfired in June 2006, when Hamas won the 2006 elections. In July 2004, there were clashes between rival Hamas-led sections of the security forces in Gaza and violent protests, which were widely seen as a power struggle ahead of Israel's promised pullout from Gaza. On 16 February 2005, the Israeli parliament had approved its disengagement from Gaza, which would drastically change the Israeli–Palestinian relations in Gaza. The disengagement plan from 2003 was already adopted by the Israeli Government in June 2004. Israel withdrew from Gaza in September 2005. Control of the Gaza–Egypt border was on the Egyptian side handed over to Egypt. The Fatah-dominated PA had been given control on the Gazan side at the Rafah Border Crossing. The 2005 Philadelphi Accord between Israel and Egypt turned over control of the border to Egypt. From February 2005, a technocrat Fatah-led PA government controlled the Palestinian National Security Forces. From November 2005 until June 2007, the Rafah Crossing was jointly controlled by Egypt and the Palestinian Authority, with the European Union from 24 November 2005 monitoring the activities on the Gazan side. Tensions between Fatah and Hamas intensified after Hamas won the elections of 2006 and the international community increased the pressure on the Palestinian Authority. As a result of the Hamas led government's refusal to commit to nonviolence, recognition of the state of Israel, and acceptance of previous agreements, Israel, the Middle East Quartet (United States, Russia, United Nations, and European Union), several Western states, and the Arab states imposed sanctions suspending all foreign aid. The PA government, who had with President Abbas shared authority over the Security Forces, was no longer in the hands of Fatah. When Abbas and Hamas in the struggle for power failed to reach an agreement, Abbas appointed, on 6 April 2006, the Fatah-affiliated Abu Shbak head of the Security Forces, by-passing the Hamas Interior Minister. In response, Hamas formed its own security force. On 25 June 2006, militant groups conducted a cross-border raid into Israel. The Israeli response left Hamas with half its parliamentary bloc and its cabinet ministers in the West Bank in Israeli custody. The semi-constitutional and semi-presidential Basic Law gave President and Government a shared political power. Fatah refused to co-operate with Hamas. The powerful Fatah-backed President Abbas was supported by the international community and more or less tolerated by Israel. The Hamas-dominated Palestinian Authority and the parliament on the other hand were boycotted, and international financial aid was rendered via Abbas, bypassing the Palestinian Government. Because Fatah and Hamas did not co-operate, the parliament became dysfunctional and the PA suffered financial distress. Several sources speak of considerable involvement by the United States, Israel and Arab states, after Hamas in 2006 announced the formation of its own security service, the Executive Force, which was denounced by Mahmoud Abbas as unconstitutional. The Presidential Guard of Mahmoud Abbas was enlarged and equipped, and its members trained by the US, Egypt and Jordan. Also, a PLC council member for Hamas, Anwar Zaboun, believes that ″Mohammed Dahlan had a big plan to remove the roots of Hamas, the resistance, in Gaza and the West Bank″. According to the IISS, the June 2007 escalation was triggered by Hamas' conviction that the PA's Presidential Guard, loyal to Mahmoud Abbas, was being positioned to take control of Gaza. The US had helped build up the Presidential Guard to 3,500 men since August 2006. The US committed $59 million for training and non-lethal equipment for the Presidential Guard, and persuaded Arab allies to fund the purchase of further weapons. Israel, too, allowed light arms to flow to members of the Presidential Guard. Jordan and Egypt hosted at least two battalions for training. Following the elections, Hamas announced the formation of its own security service, the Executive Force, appointing Jamal abu Samhadana, a prominent militant, at its head. Abbas had denounced the move as unconstitutional, saying that only the Palestinian president could command armed forces. The period from March to December 2006 was marked by tensions when Palestinian Authority commanders affiliated to Fatah refused to take orders from the Hamas-led Palestinian Authority government. Tensions further grew between the two Palestinian factions after they failed to reach a deal to share government power. Facing international sanctions, the Hamas-led Palestinian Authority depended on the import of large amounts of cash to pay its debts. On 14 December 2006, Prime Minister Ismail Haniyeh, carrying tens of millions in donations, was denied by Israel entry into Gaza via the Rafah Border Crossing. Angry Hamas militants stormed the post, which was manned by European monitors and Abbas' Presidential Guard, responsible for security there. After guards had fired at the Hamas militants, they took over the hall, firing shots into the air. A Hamas official tried to get the militants to disperse. Haniyeh had already cut short his trip due to mounting tensions between Hamas and rival faction Fatah, after three sons of a Fatah security chief were killed days earlier. The same day, Haniyeh was allowed to return to Gaza without the money, but while crossing the border, gunmen attacked his car, killing one bodyguard. One of Haniyeh's sons was moderately wounded and his political adviser Ahmed Youssef was lightly wounded. At the time, Fatah PLC member and former Fatah security chief Mohammed Dahlan was blamed for this apparent assassination attempt. Peace activist Ellen Rosser also believes that it were Dahlan's men who tried to assassinate Haniyeh. Fighting broke out in the West Bank after Palestinian National Security Forces fired on a Hamas rally in Ramallah. Security units loyal to Mahmoud Abbas and dressed in riot gear, used clubs and rifles to beat back the demonstrators before the shooting broke out. At least 20 people were wounded in the clashes, which came shortly after the attempt to assassinate Ismail Haniya. On 16 December, Abbas called for new parliamentary and presidential elections, but his advisor Saeb Erekat said that "elections cannot be held before the middle of next year for legal and technical reasons". A senior Hamas law maker called it "a real coup against the democratically elected government". Hamas challenged the legality of holding an early election, maintaining its right to hold the full term of its elected offices. Hamas characterized it as an attempted Fatah coup by Abbas, using undemocratic means to overthrow the results of a democratically elected government. Fatah leaders called for the dismissal of the Hamas-led government and the establishment of an emergency cabinet. One Fatah operative said that Abbas had been threatening to call early elections for the past five months and that "more threats are not going to work". The announcement of elections provoked high tensions and gun battles between Hamas and Fatah supporters. Abbas strongly denied allegations that members of Fatah and the Force 17 "Presidential Guard" were behind the assassination attempt on Ismail Haniyeh, and he criticized the kidnapping of IDF soldier Gilad Shalit. On 17 December, pro-Fatah gunmen attacked Hamas' Foreign Minister Mahmoud Zahar. Pro-Hamas militiamen retaliated with shots at the home of President Abbas, wounding five guards. A member of Fatah's Force 17 was killed, together with a passing woman. At the end of the day, Fatah and Hamas agreed on a ceasefire, though gunfire continued outside Mohammed Dahlan's house. Intense factional fighting continued throughout December 2006 and January 2007 in the Gaza Strip. After a month of fighting, which left 33 people dead, President Mahmoud Abbas attempted to incorporate the Hamas-led Executive Force into the security apparatus loyal to the president. Hamas rejected Abbas' order, and instead announced plans to double the size of its force. On 6 January 2007, Abbas outlawed the Executive Force and ordered its disbandment. Fighting continued until a cease-fire was implemented on 30 January. The dueling announcements raised the prospect of an intensified armed standoff. Abbas's only means of enforcing the order appeared to be coercive action by police and security units under his command, which were relatively weak in the Gaza Strip, Hamas's stronghold. Fierce fighting took place after Hamas killed 6 people on 1 February in an ambush on a Gaza convoy which delivered equipment for Abbas' Palestinian Presidential Guard, according to diplomats, meant to counter smuggling of more powerful weapons into Gaza by Hamas for its fast-growing "Executive Force". According to Hamas, the deliveries to the Presidential Guard were intended to instigate sedition (against Hamas), while withholding money and assistance from the Palestinian people. On 8 February 2007, the Saudi-brokered Fatah–Hamas Mecca Agreement produced an agreement on a Palestinian national unity government signed by Fatah and Hamas leaders. The agreement included measures to end the internecine violence. The unity government was formed on 17 March. However, it struggled to resolve the two most pressing issues: an economic crisis and a collapse of security in Gaza. Violent incidents continued through March and April 2007. More than 90 people were killed in this period. In mid-May 2007, clashes erupted once again in the streets of Gaza. In less than 18 days, more than 50 Palestinians were killed. Leaders of both parties tried to stop the fighting by calling dozens of truces, but none of them held for longer than a few days. Throughout 10 and 15 June of fighting Hamas took control of the main north–south road and the coastal road. and removed Fatah officials. The ICRC estimated that at least 118 people were killed and more than 550 wounded during the fighting in the week up to June 15. Human Rights Watch accused both sides with violations of international humanitarian law. Including the targeting and killing of civilians, public executions of political opponents and captives, throwing prisoners off high-rise apartment buildings, fighting in hospitals, and shooting from a jeep marked with "TV" insignias. The International Committee of the Red Cross has denounced attacks in and around two hospitals in the northern part of the Gaza strip. The Israeli government closed all check-points on the borders of Gaza in response to the violence. On 14 June, Palestinian President Mahmoud Abbas announced the dissolution of the current unity government and the declaration of a state of emergency. Palestinian Prime Minister Ismail Haniya was dismissed, and Abbas began to rule Gaza and the West Bank by presidential decree. Hamas spokesman Sami Abu Zuhri responded by declaring that President Abbas's decision was "in practical terms ... worthless," asserting that Haniya "remains the head of the government even if it was dissolved by the president". Nathan Brown of the Carnegie Endowment for International Peace commented that under the 2003 Palestinian Constitution Abbas clearly had the right to declare a state of emergency and dismiss the prime minister but the state of emergency could continue only for 30 days. After that it would need to be approved by the (Hamas-dominated) Legislative Council. Neither Hamas nor Fatah had enough votes to form a new government under the constitution. The Palestinian Centre for Human Rights condemned Hamas' "decision to resolve the conflict militarily" but argued that "steps taken by President Mahmoud Abbas in response to these events violate the Basic Law and undermine the Basic Law in a manner that is no less dangerous." On 15 June, Abbas appointed Salam Fayyad as prime minister and gave him the task of forming a new government. The international community smoothly recognized the government. Within days, the US recognized Abbas' emergency government and ended a 15-month economic and political boycott of the Palestinian Authority in a bid to bolster President Abbas and the new Fatah-led government. The European Union similarly announced plans to resume direct aid to the Palestinians, while Prime Minister Ehud Olmert of Israel said it would release to Abbas Palestinian tax revenues that Israel had withheld since Hamas took control of the Palestinian Parliament. The attacks of Hamas gunmen against Fatah security forces in the Gaza Strip resulted in a reaction of Fatah gunmen against Hamas institutions in the West Bank. Although Hamas's numbers were greater in the Gaza Strip, Fatah forces were greater in the West Bank. The West Bank had its first casualty when the bullet-riddled body of a Hamas militant was found in Nablus, sparking the fear that Fatah would use its advantage in the West Bank for retaliation against its members' deaths in the Gaza Strip On the same day, Hamas also declared that it was in full control of Gaza, a claim denied by Abbas. On 16 June, a Fatah-linked militant group, the al-Aqsa Martyr's Brigades, stormed the Hamas-controlled parliament based in Ramallah in the West Bank. This act, including the ransack of the ministry of education, was seen as a reaction to similar looting occurring following Hamas' military success in Gaza. On 20 June, Hamas leader Mahmoud Zahar declared that if Fatah continued to try to uproot Hamas in the West Bank, it could lead to Fatah's downfall there as well. He would not deny when asked that Hamas resistance against Fatah would take the form of attacks and suicide bombings similar to those that Hamas has used against Israel in the past. On 17 October, clashes erupted in eastern Gaza between Hamas security forces and members of the powerful Heles clan (Fatah-affiliated), leaving up to two dead on both sides. Fatah and Hamas officials gave conflicting accounts of what caused the fighting but the dispute seems to have originated when Hamas officials demanded that the clan return a governmental car. Another gun battle on October 20 killed one member of the clan and a 13-year-old boy. During the same day, in Rafah, one woman was killed and eight people were injured when Hamas security members traded fire with Islamic Jihad activists. Two days later, 7 more Palestinians were killed in the internal fighting, including some Hamas militants and a Palestinian Islamic Jihad militant. On 12 November, a large demonstration dedicated to the memory of late Palestinian Authority President Yasser Arafat was organized by Fatah in Gaza City. With over 200,000 participants, this was the largest Fatah demonstration in the Gaza Strip since the Hamas takeover. The demonstration was forcibly dispersed by Hamas gunmen, who fired into the crowd. At least six civilians were killed and over 80 people were injured, some from being trampled in the resulting stampede. The smaller militant group Islamic Jihad, whose members have clashed with Hamas several times, condemned the shootings. On 1 January 2008, at least eight people died in factional fighting in the Gaza Strip. On 23 March 2008, Hamas and Fatah signed an agreement in Sana'a, Yemen that amounted to a reconciliation deal. It called for a return of the Gaza Strip to the pre-June 2007 situation, though this has not happened. On 8 November 2008, Palestinian reconciliation talks due to be held in Cairo were called off on Saturday after Hamas announced a boycott in protest at the detention of hundreds of its members by president Mahmoud Abbas's security forces. The 2009 Hamas political violence took place in the Gaza Strip during and after the 2008–2009 Israel–Gaza conflict. A series of violent acts, ranging from physical assaults, torture, and executions of Palestinians, suspected of collaboration with the Israel Defense Forces, as well as members of the Fatah political party, occurred. According to Human Rights Watch, at least 32 people were killed by these attacks: 18 during the conflict and 14 afterward, and several dozen more were maimed, many by shots to the legs. On 31 May 2009, six people were killed as Palestinian Authority and Hamas forces clashed in Qalqilya. Ethan Bronner described the fighting as an indication "that the Palestinian unity needed for creation of a state is far off." Following the Egyptian Revolution of 2011 and the deposal of Egyptian president Morsi in July 2013, tensions between Fatah and Hamas reached a new high. According to Barakat al-Farra, the PLO ambassador in Cairo, the Egyptian US-backed el-Sisi regime, which annually receives some $1.5 billion military aid from the US, will keep the Rafah border crossing closed, until forces loyal to Palestinian Authority President Mahmoud Abbas have regained control. A Hamas official accused the PA leadership of playing a major role in enforcing the blockade of the Gaza Strip. In the midst of negotiations to resolve the 2014 Israel–Gaza conflict, the Shin Bet revealed an alleged plot by Hamas to depose Fatah rule in the West Bank. This would be achieved by deploying Hamas cells around the West Bank to incite a third intifada and overwhelm Palestinian Authority forces. More than 90 people were arrested. President Abbas said the plot was "a grave threat to the unity of the Palestinian people and its future." ↑ "In Gaza, power cuts and rumors hamper reconciliation". English.alarabiya.net. 1 April 2012. ↑ "Hamas and Fatah unveil Palestinian reconciliation deal". BBC News. Retrieved July 17, 2015. ↑ "Palestinian unity government sworn in by Mahmoud Abbas". BBC. 2 June 2014. Retrieved 6 June 2014. 1 2 "Religious war in Gaza". Ynet. 3 February 2007. 1 2 "Over 600 Palestinians killed in internal clashes since 2006". Ynetnews.com. 20 June 1995. Retrieved 24 April 2011. ↑ "Over 600 Palestinians killed in internal clashes since 2006". Reuters via Ynet. June 6, 2007. ↑ "Palestinian papers: UK's MI6 'tried to weaken Hamas'". BBC. 25 January 2006. - "the [Palestine papers] documents reflected a 2003 decision by Tony Blair to tie UK and EU security policy in the West Bank and Gaza to a US-led "counter-insurgency surge" against Hamas – which backfired when the Islamists won the 2006 elections". p. 6: "the PA has a president-parliamentary form of semi-presidentialism"; p. 9: "The Basic Law of the Palestinian Authority is the equivalent of an interim constitution"; p. 11: ", the semi-presidential structures of the 2003 amended Basic Law highlighted and accelerated divisions between Hamas and Fatah ... Hamas offered Fatah a grand coalition, but Fatah refused"; p. 17: "The semi-presidential structure of the 2003 amended Basic Law was the source of this destabilising period of competition within the executive ... The creation of two competing centres of power with equal popular legitimacy raised the political stakes within the system as both actors tried to undermine the position of other." ↑ "Hamas executes suspected Fatah traitors in Gaza". SFGate. Retrieved July 17, 2015. ↑ "The Gaza Bombshell". Vanity Fair. April 2008. Retrieved 1 February 2014. ↑ Kalman, Matthew (December 14, 2006). "U.S. training Fatah in anti-terror tactics / Underlying motive is to counter strength of Hamas, analysts say". sfgate. ↑ Amayreh, Khalid (28 January 2010). "Did Hamas carry out a coup in Gaza in 2007?". Middle East Monitor. Retrieved 1 February 2014. ↑ "How Hamas took over the Gaza Strip". BBC News. June 15, 2007. Retrieved January 4, 2010. ↑ Gaza-Westbank – ICRC Bulletin No. 22 / 2007, AlertNet. Retrieved June 16, 2007. ↑ Gaza: Armed Palestinian Groups Commit Grave Crimes, Human Rights Watch, June 13, 2007. ↑ Hospitals offer no safety in Gaza strip, ABC News, June 13, 2007. ↑ "Abbas Dissolves Palestinian Authority Government in Wake of Hamas-Fatah War". Fox News. June 14, 2007. Retrieved July 14, 2008. ↑ Levinson, Charles; Matthew Moore (June 14, 2007). "Abbas declares state of emergency in Gaza". The Daily Telegraph. London. Retrieved June 14, 2007. ↑ "Abbas sacks Hamas-led government". BBC News. June 14, 2007. Retrieved July 14, 2008. ↑ Black, Ian; Tran, Mark (June 15, 2007). "Hamas takes control of Gaza". Guardian. London. Retrieved June 3, 2010. ↑ What Can Abu Mazin Do?, pp. 8-9, section States of Emergency under the Palestinian Basic Law. Nathan J. Brown, The Carnegie Endowment for International Peace, 15 June 2007. Here Available. "First, the PLC can overturn any action taken (presumably by a simple majority, though it should be noted that Hamas may have difficulties mustering votes with so many deputies in jail). Second, any extension of the state of emergency beyond thirty days requires PLC approval—and this time it is Abu Mazin who would have trouble mustering the votes, since he would need 2/3 of all PLC members." ↑ "No Alternative to Political Dialogue: PCHR's Position towards the Current Crisis in the Gaza Strip and the Palestinian National Authority". Palestinian Centre for Human Rights. June 18, 2007. Archived from the original on June 27, 2007. Retrieved June 19, 2007. ↑ "President Abbas prepares to swear in unelected interim government". Maannews.net. Retrieved April 24, 2011. ↑ "Hamas 'in full control of Gaza'". BBC News. June 15, 2007. Retrieved July 14, 2008. ↑ "Fatah gunmen storm Hamas-controlled ministry, parliament building". The Hindu. Chennai, India. June 16, 2007. Retrieved April 24, 2011. ↑ Erlanger, Steven (June 21, 2007). A Leader of Hamas Warns of West Bank Peril for Fatah. New York Times. Retrieved July 14, 2008. Mr. Zahar, the former Palestinian foreign minister, said Hamas would not sit idle if its political rival, Fatah, ... continued to attack Hamas institutions and politicians. ↑ "Gaza: 4 dead as Hamas, Fatah clan clash". Jerusalem Post. October 18, 2007. ↑ "One Palestinian killed in internal Gaza fighting". Reuters. October 21, 2007. ↑ al-Mughrabi, Nidal (November 12, 2007). "Gunfire kills seven at Fatah rally in Gaza". Reuters. ↑ "Eight dead in Gaza faction clash". BBC News. January 1, 2008. Retrieved May 2, 2010. ↑ Sudam, Mohamed (March 23, 2008). "Fatah and Hamas sign reconciliation deal". Uk.reuters.com. Retrieved April 24, 2011. ↑ "Palestinian unity talks stall after Hamas boycott". alarabiya.net. November 8, 2008. Retrieved December 3, 2012. ↑ Ginsburg, Mitch (18 August 2014). "Israel says it foiled Hamas plan for massive attacks on Israel, coup against PA". The Times of Israel. Retrieved 21 August 2014. "Analysis on the Legality of New PA Elections"
"Abbas insists will hold elections"
"Review by the Reut Institute: Hamas Consolidates; Fatah Disoriented"